The LMC studio recently relocated to the Town Center at 740 West Boston Post Road. Jason Millan produced the following video about our journey to the new studio. There will be an official ribbon cutting ceremony on April 20th at 6:00 p.m. at the Town Center, Suite 302. All are invited. Village of Mamaroneck residents are invited to comment on development in the industrial area as well as the revamping of the Village Comprehensive Plan, which was last updated in 2012. The Industrial Area Committee will be holding a public workshop on Wednesday, April 4th at 7:30 p.m in the courtroom at 169 Mount Pleasant Avenue in Mamaroneck. The goal for the industrial area is to boost the local economy, while the comprehensive plan aspires to maintain the character of the VIllage and to pay attention to environmental sustainability. On Sunday, March 18th, the Village of Mamaroneck held its annual St. Patrick’s Day Parade. Local Live reporter, Sebastian Hall was on hand to cover the event. On Tuesday, March 20th, there was another school shooting, this time at Great Mills High School in Maryland. The shooter was killed and two other students were injured. This latest incident adds pressure to the national fight for greater gun control and school safety. Kirsten Yizar, an art teacher at Mamaroneck Avenue School, is looking to spread kindness in the community with a little help from hand-painted river rocks. She recently wrote the Village of Mamaroneck Board about the Kindness Rocks Project. Messages of kindness will be painted by children in the Mamaroneck elementary schools and will begin in early May. For more information on the Kindness Rocks Project, go to their website, www.kindnessrocksprojects.com. Our Pets of the Week are Brownie, a two-year-old black cat and Thor a Boxer Mix puppy. Brownie is shy but lovable. He has beautiful eyes and would love to find a home where he and his lookalike stuffed animal can hang out quietly together. Thor is just under a year old and is has lots of energy. He would be a great companion to someone who loves hiking, running or any other outdoor type of exercise. For more information on either Brownie or Thor, or to see other adorable pets, go to http://www.ny-petrescue.org. Rye Neck High led their own march which was open to the community. 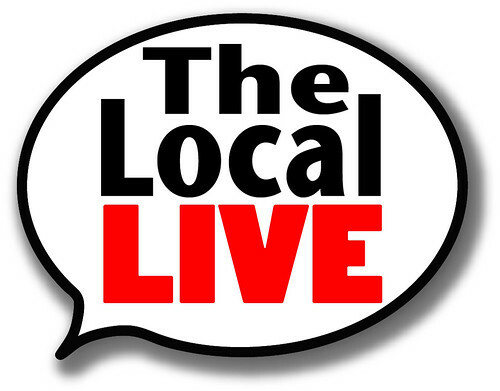 The Local Live spoke with two Rye Neck moms who helped to organize the event. For the first time since 2006, the Village of Larchmont had a contested election for the position of trustee with three candidates running to fill two seats on the board. The Larchmont Village website reported that a total of 814 voters participated in the election. Incumbent Peter Fanelli was re-elected with 560 votes. Challenger Sarah Bauer was elected for her first term with 463 votes, while incumbent Carol Miller received 402 votes. Although all three candidates were registered democrats, Ms. Bauer ran as a member of the newly formed Preservation Party on a platform that will limit impacts of new development on neighborhoods and schools. Mayor Lorraine Walsh, who ran unopposed was re-elected for a second two-year term.